Do you like to watch television programs that go behind the doors of superstar homes? There’s something fascinating about watching how the super wealthy live. Their bathrooms are always one of the most impressive rooms in the house, and that’s no surprise. Bathrooms shouldn’t be simply functional, they’re designed to add an element of luxury to our homes and our lives. Having a bathroom that looks good enough for a film star or premier league footballer can cost less than you think. 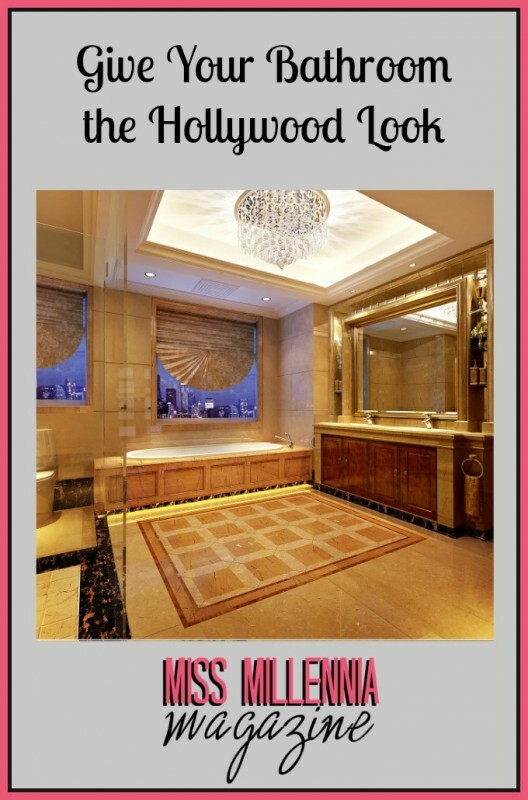 Here are some ways to create a bathroom that could have come straight out of Hollywood. When your bathroom looks great, you won’t want to hide it away from the world. 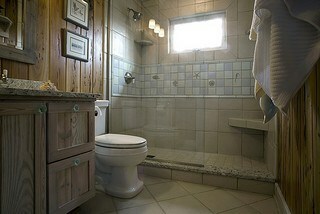 Too many bathrooms are dark and dingy, lit by inadequate bulbs or a small window covered in frosted glass. By creating more light in your room, you’ll not only be able to see what you’re doing better, you’ll make everything look more vibrant and beautiful. Skylights are a fantastic way to let natural light stream into your bathroom. Their elevated position means that you can use clear glass in them, without fear of being seen by neighbors. If your bathroom doesn’t have much access to natural light, then install bulbs that mimic it. You can never have too much lighting in a bathroom, so consider adding embedded wall sconces or even a central chandelier. You’ll have noticed how large and spacious the bathrooms of the stars are. If you haven’t yet won the lottery, it might seem that you could never have one that looks as impressive. By making the most of the space available, however, you can make your bathroom seem much bigger, whatever size it really is. Most bathrooms have too much clutter in them. Remove anything that’s unnecessary and keep the floor space clear. The minimalist look is at the height of home décor fashion, so by clearing the space in your bathroom you’ll not only be making it look bigger, you’ll be creating a stylish new look too. Whites, creams and silvers are the ideal colors for your wall, ceiling and floors. They give a fresh look to the bathroom that makes the most of the available space. Celebrity bathrooms aren’t over filled with accessories, because the accent is on creating wide spaces and beautiful curves and lines. This means that the accessories that are in the bathroom really stand out, and look even more impressive. You don’t need to have a huge budget to do the same for your bathroom. Make sure that any accessories you buy are elegant, visually appealing and complement your sanitary ware. Nothing ruins a classy appearance more than clashing colours. One of the best accessories for a stylish bathroom is a towel radiator. There are lots of styles and varieties available, but chrome towel radiators look timelessly glamorous, especially ones with curved lines. Take a look at the online specialist Adige Towel Radiators, to find one that will look great in your bathroom. They’re supremely practical as well, and provide a great value heating solution. Plants aren’t just for your patio or living room, they can take your bathroom to the next level as well. Remember that simplicity equals stylish. Your aim isn’t to fill up all the spaces, but a carefully positioned plant can be a real conversation starter, and complete the transformation to a film star style bathroom. An orchid is the ultimate bathroom plant, but peace lilies and philodendrons can also look stunning. Follow these tips and you’ll soon find that your visitors are envious of your bathroom. Perhaps it could feature in its own documentary one day?